In keeping with natural hair and trying to maintain a natural look for not just my hair but for my nails as well I decided to give up getting acrylic nails better known as crack…lol. I started getting acrylic on my nails when I was in the eighth grade. From then on I was on and off up until I was a senior in college. During my senior year I decided enough was enough, and I made a vow to stop getting full sets. The acrylic was damaging my nails and causing them to remain weak and not grow. I wanted a much more natural look and decided to try and maintain my natural nails by getting regular manicures. Throughout my senior year and post graduation I would get weekly to bi-weekly manicures. I chose lighter colors because the chipping wouldn’t be as noticeable. A couple weeks ago I couldn’t take it anymore because I realized that no matter how light of a color I chose my nails would still chip within a matter of days. Now, granted a regular manicure here in the city will run you a max of $10, but it was frustrating nonetheless to have gorgeous nails day one and literally two or three days later my nails looked a hot mess. I was in the salon about a month ago and a young woman next to me was getting a gel manicure. Her nails weren’t even half way done and the gloss was almost blinding. I had to lean over and ask her what she was having done. She explained to me that she was getting an OPI gel manicure. She said she previously got regular manicures and like myself got tired of the endless chipping. I complimented her on her nails and left the salon vowing to get a gel manicure the next time I got my nails done. A little over a week ago, I finally got around to Nails by Young on the Upper West Side. Being the natural researcher I am, I spent countless days reading reviews about salons and filtering through the BEST one I could find. Nails by Young was without a doubt the best reviewed salon on Yelp. Instead of getting the OPI gel that the young lady at the previous salon recommended I opted to get a Shellac gel manicure. After doing some research I found that Shellac was the only hybrid nail color that they guarantee will last 14 days. I can’t lie, I was a bit skeptical about a manicure that could last two whole weeks (and even three according to some reviews). The only thing in my mind that could GUARANTEE that was good ol acrylic. Some of the main things that attracted me to Shellac over the competition was mainly the fact that it has zero drying time, the color options were great and of course no nicks, chips or smudges! Of course since this is a gel manicure it takes a little longer than a traditional manicure and UV3 technology is used during the process. The cost for a shellac manicure is also significantly higher than a traditional manicure. 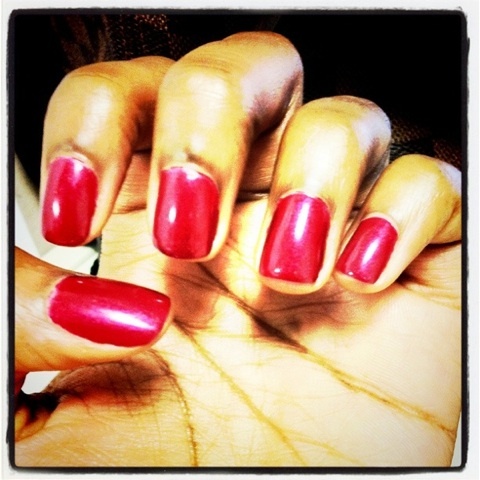 Nails by Young offered a special for a shellac manicure and regular pedicure for $50. However, by itself the manicure would have been $35. But, if you think about it: You get a manicure every week, costing approximately $10-$15, and a shellac manicure lasts up to three weeks. So, everything kinda averages out. It’s up to you to do a full cost benefit to see if shellac is worth it, but I’m here to tell you that it absolutely is. This isn’t even day 1. When I left the salon my nails weren’t just shiny, they were exceptionally glossy. I thought this was something that would only last a couple days. But it’s day 9 and the shine is still there (after I just did a full shampoo and conditioning to my hair followed by a full flat twist set.) YES, my nails are still in perfect condition. I wanted to wait at least three weeks before writing this review, but I was so impressed that I had to get on my computer immediately to let you all know about this incredible service! According to the official CND website, Shellac nail color is hypoallergenic and “3-Free,” which means no formaldehyde, toluene or DBP. 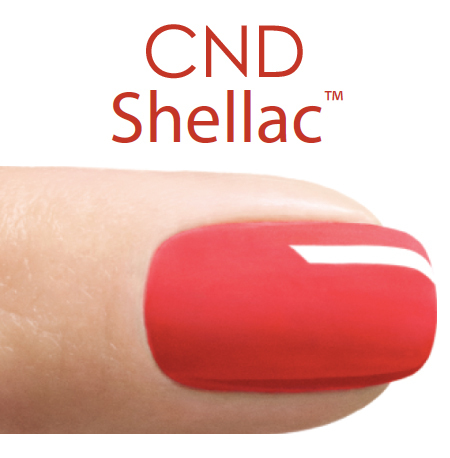 Twelve of CND’s most popular shades are available in Shellac, with another 12 launching by year’s end. Worried about removing your nail color? No sweat, you can simply return to the salon and after 10 minutes under CND’s remover wraps your polish will glide right off. Leaving your natural nails undamaged and ready for another fresh manicure! 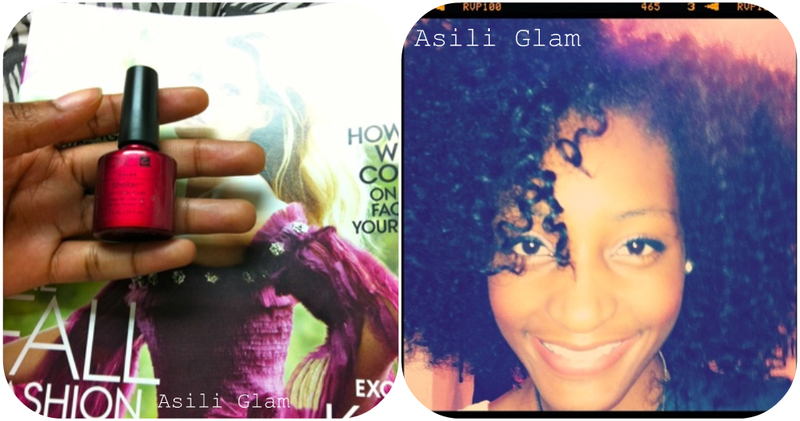 Forget stilleto heels and expensive bags that make a statement, the most important accessory is a fresh shiny manicure! It’s one of the most important statements to be made about your style! So, what you think beauties? Have I sold you on shellac?? Previous Post Tips for avoiding split ends! Next Post FASHIONS NIGHT OUT: I WAS HERE. I tried Shellac over a year ago and it really did last the 14 days but I would switch b/w that OPI's Gel b/c they had more color choices to offer than Shellac. At the time that I was using OPI Gel in combo w/the Shellac b/c the Shellac only had 8-12 colors. It's great if you like to maintain a color on your nails for more than the normal 3-5 days! Worth the cost and it's safer for your nails. Thanks for this review! I've used OPI gel on two occasions and I've been… less than impressed. It lasts up to seven days, then they peel off! I'll see if there is a salon that uses Shellac in my area. By the way, I LOVE the blog! Can't wait to read more! @Amy K–I completely agree! I'm going to give the OPI a shot to see how it compares to Shellac..:-) Are you currently still using gel? Edwyna! Shellac is everything!!! lol If you love getting manicures but hate the chipping you have to at least give this a try! Check out groupon or living social for deals..you can find it for as cheap as $20!